How To Find Long Tail Keywords With Kparser Longtail Generator? 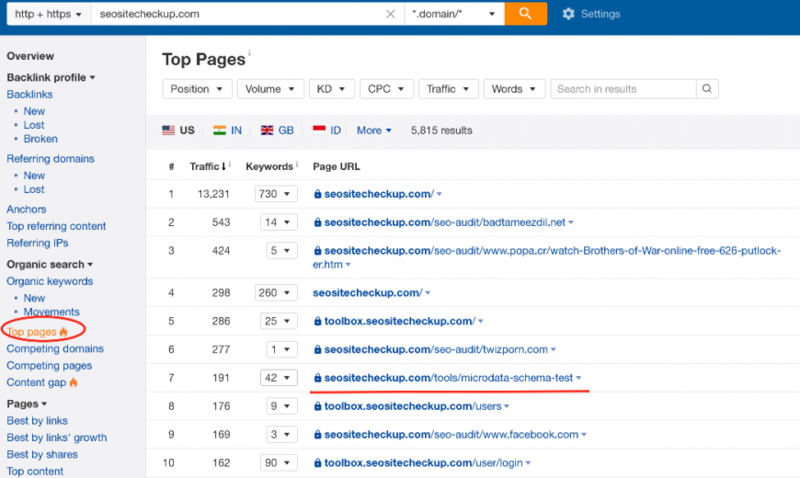 How to Find Long Tail Keywords, Expand the Semantic Core and Grow an Organic Traffic to Your Website? The cruel truth about SEO specialists. Very, very many people think that they know how to promote websites: to collect semantics, do a competent structure and re-linking. The practice shows that at the first stage most likely 98 of 100 SEOs will act primitively, the same primitively. The first thing to do is trying to beat the competitions on their own keywords. To do this, go to Ahrefs, section Top Pages and choose a victim. Results will not be enough, but it’s much better than nothing. We throw all them in Kparser.com and click Start. As a result, we get quite a few keywords – our sowing phrases are already long tail keywords with low search volume. If we will use the broader phrase, such as schema checker, we’ll get a lot of garbage. Take another key group as in the following example. 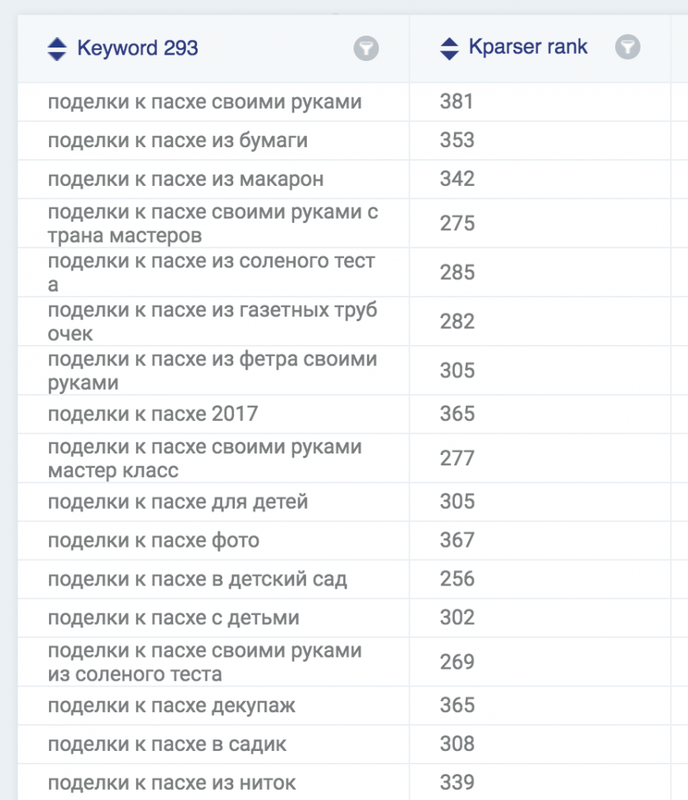 URL in the image below top ranked on 4327 keywords. The semantics of such a page is better not to expand and break up on your own site into multiple pages. Query group – tags for youtube. Our goal is not just copy the words of competitors and significantly expand the semantics and to obtain positions on a wide pool of low demand. 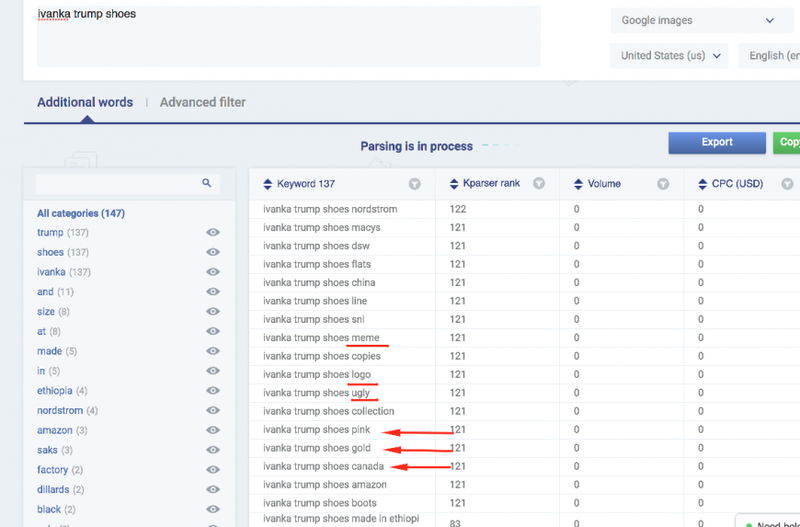 Ahrefs or any such instrument does not show you all of the keywords, so if you have access to other tools – Semrush / Spyfu / something.., be sure to upload long tail keywords from all them and combine the data. By the way, under the new pricing policy Semrush, $ 200 for ACC, SpyFu can be a very good alternative. 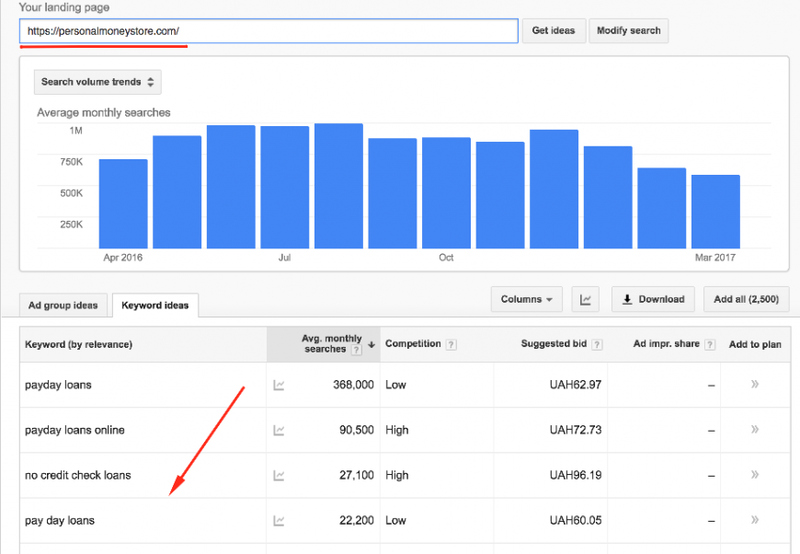 It costs $ 49 / month, has a large base, and on adwords data is one of the best on the market. 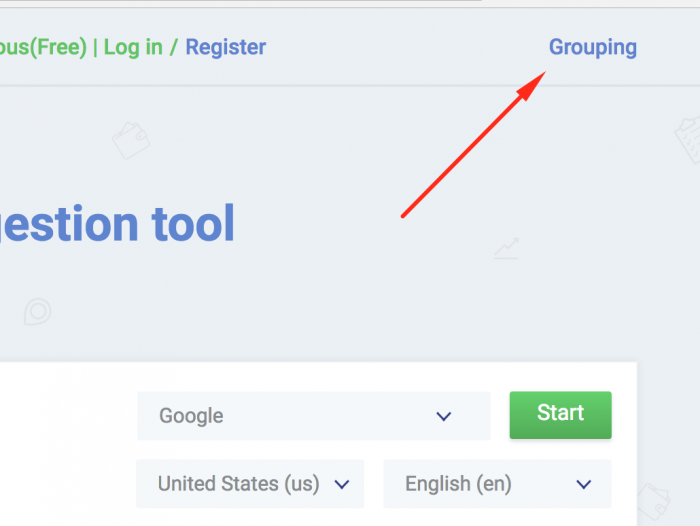 If there are a lot of keywords, or you are too lazy, words can be grouped in Groupper tool. Most importantly: what to do with the list of founded keywords? The first, we divide them into separate words. The second, we add these keywords to the content of our pages, from the frequency to a reasonable quantity. Words from phrases can be found in the text, in any order and at any distance from each other. In the theory, the longer a word to each other, the less weight of the phrase, which they constitute we have. In the practice, it has no significant effect. If we have not the page right now, so we need to break the keywords separately for every page. 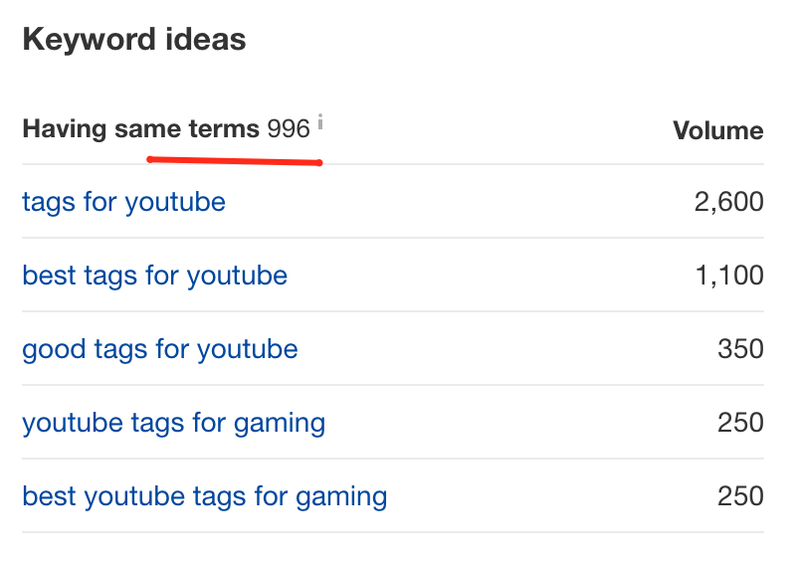 2) then we highlight all occurrences of these keywords and their synonyms from all phrases (good tags for youtube, good – synonymous with best), define them on one page, let’s called it Home page. Home page will link to other pages within the same group of keywords. 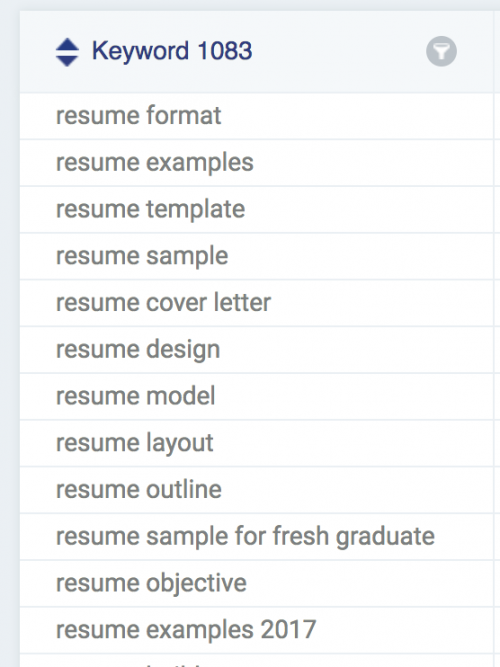 3) after that, we represent a group of keywords s in a table of contents. 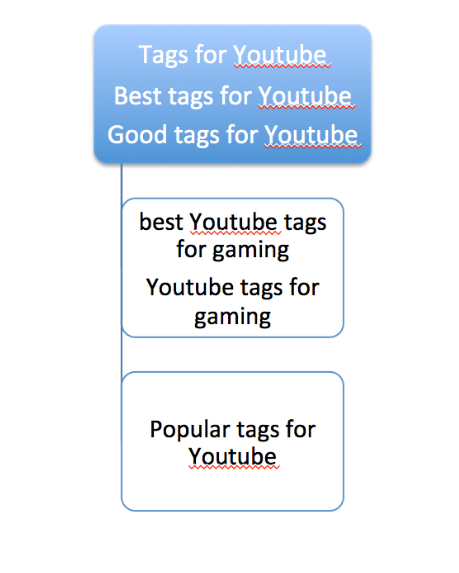 Is the keyword best youtube tags for gaming can be used for single page? Yes, it is. How to find longtail keywords with Youtube? If you have an information site, it will be better for you to search long tail keywords especially on Youtube. It is an ideal variant for anyone who works with niches like celebrities, betting, games. When we have defined our pattern, for example, I-want-to-know, then we create sown words. For example, our keywords is lawn mover. 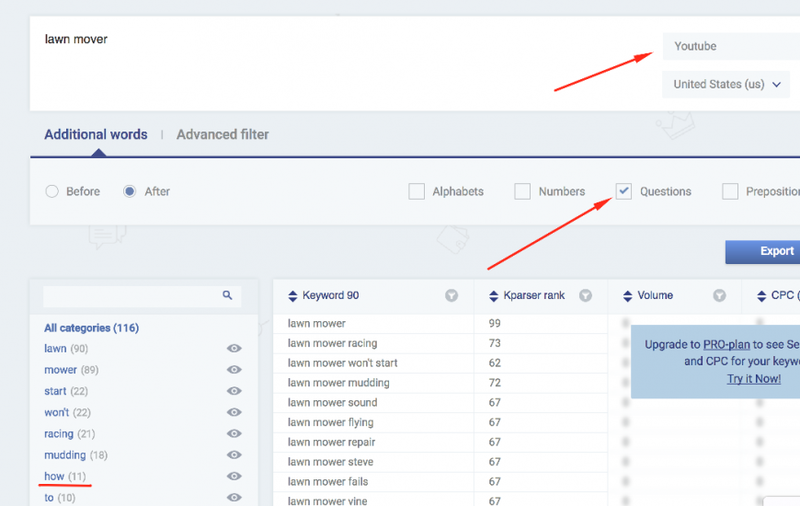 In Kparser you can simply enter a lawn mover and select the Questions in the Additional Words. 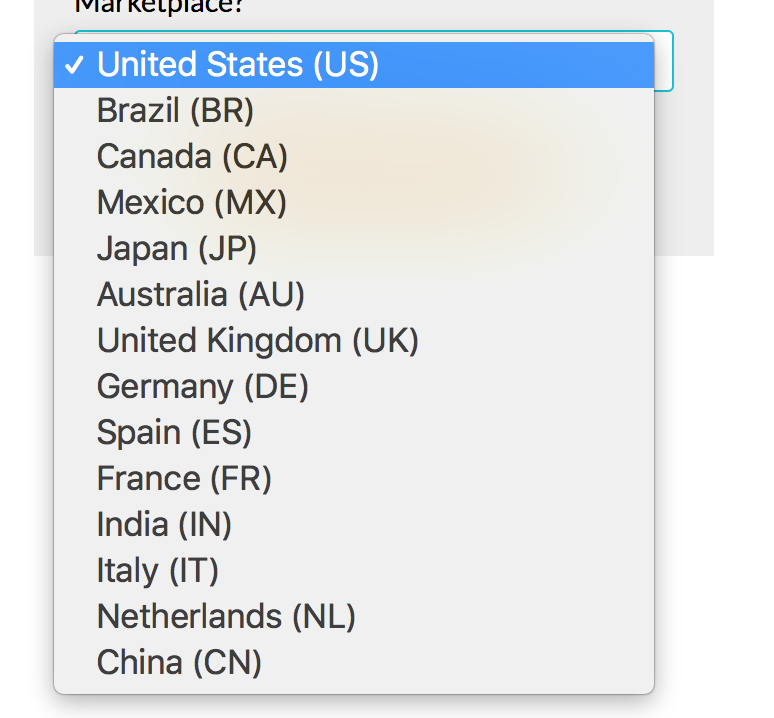 How to find long-tail keywords with the names of the cities/states? For local queries using cities and state names is also effective. You can do this on the tab Additional words. We tick the Custom text and paste into the field our values. Do not forget to turn off Alphabets, otherwise parsing may be delayed. Most likely, it’s better to substitute cities’ names after the phrase. So, press the checkbox After. Here is a raw statistics for 2016 – https://www.census.gov/programs-surveys/popest/data/data-sets.html, you can parse data you need. This checkbox inserts additional words or characters before or after sowing phrases. As a rule, the number of results BEFORE strongly lower than the number of AFTER. Using both of these modes can increase the number of long tail words about 20%. This approach allows you to get an additional set of long tail keywords, in some cases – increases their number on some levels. Now it is possible to make throwing a file with substitutions in the <Custom text. In the future we plan build macros directly in the Kparser. – for spheres whose semantics is not obvious, specific (medicine, for example). 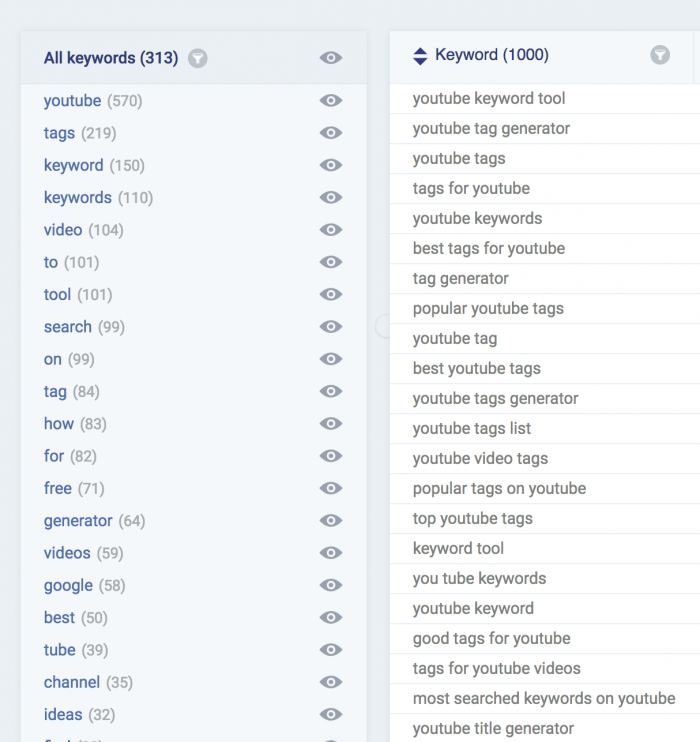 But there is one popular problem, which users get where use Keyword Planner. They can’t exact search volume for keywords phrases. 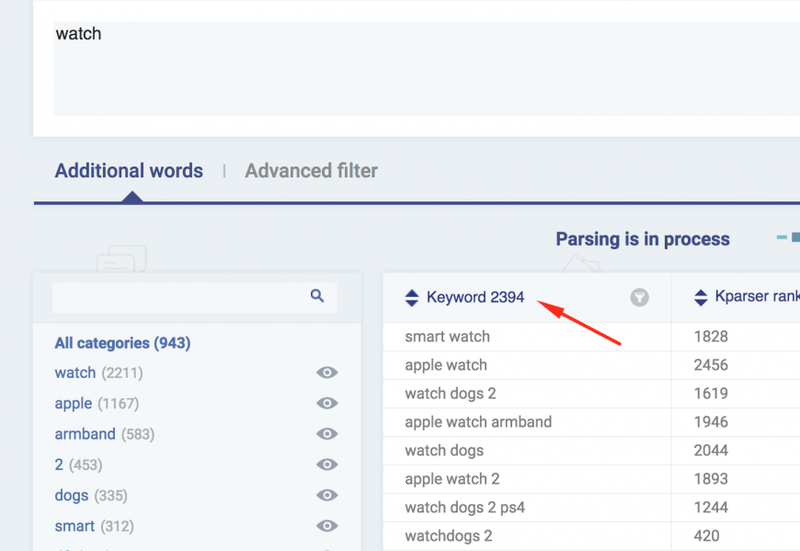 Our guide about using Kparser as keyword planner alternative explains how to decide this problem. 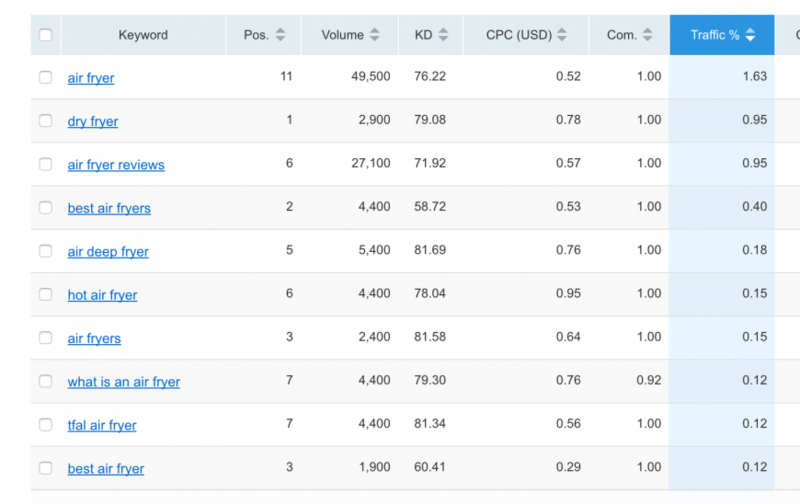 How to find long tail keywords for E-commerce? The search inside the Amazon in a niche of e-commerce has long overtaken the Google search. Everyone declare different data, but results of the polls in 2016 give 38% in favor of Amazon versus 35% proportion of the Google. This means that at least half of keywords we can find on the Amazon. At the first level we make parsing by keywords with high volume. At the second level we provide parsing by keywords with the middle level. We recommend to do it slowly and without fanaticism. The third and the last level – we divide all gathered keywords by specific products / categories, and for each product/category we research long tail keywords with low search volume. Amazon keywords are an invaluable source of sales. If you are using internal advertising on Amazon, so with this uncomplicated approach you can find hundreds of words by the cost of $ 0.01 per click. Now, there is no separation by language versions of the Amazon in Kparser, and it will give all the words in a row, depending on your IP. Use Opera or any VPN to the region of interest. 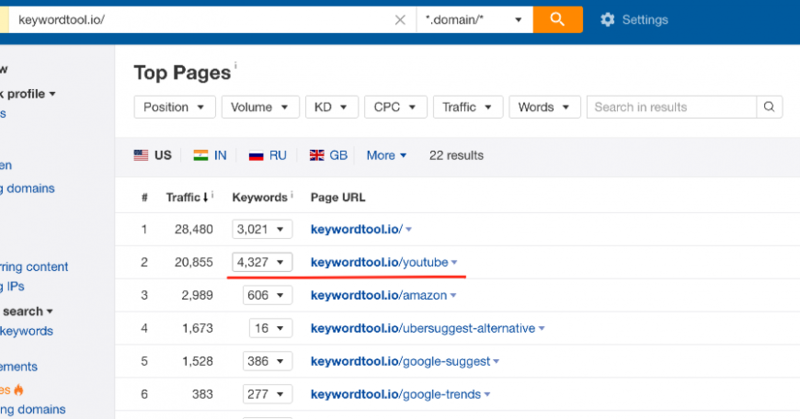 How to find long tail keywords with Similarweb? 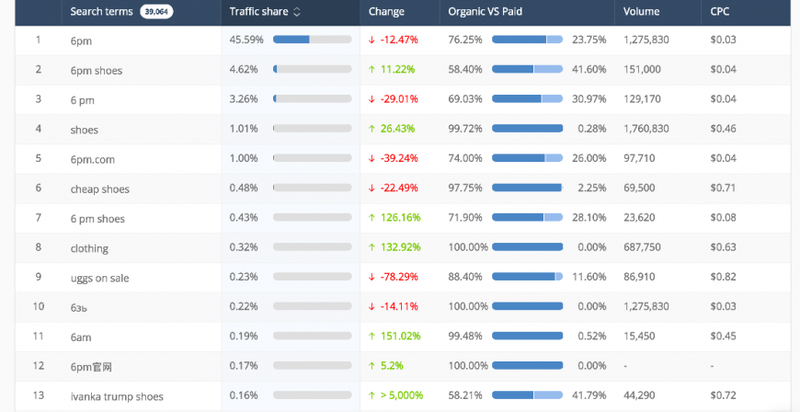 Similarweb is excellent source to research the long tail keywords. His lack of only one – price. In our account for the price of some thousand dollars a year you can see the whole 50 words. So there is only one piece of advice: look for a corporate account holders and ask for uploading keywords. You can get a very, very interesting data. In the screenshot above pay your attention to the phrase ivanka trump shoes. This query generates roughly 37,000 traffic only on 6pm website. Adwords also shows a strong trend. Run kparser, collect the keywords and go to create useful websites for people. How find long tail keywords with Google Images? – the expansion of the base with keywords. The picture traffic rarely converts in the sales, and it is better to exclude it from the Adwords campaigns and organic search. – look for groups of keywords which have a large intersection with the search and there is a clear intent to Image Search. 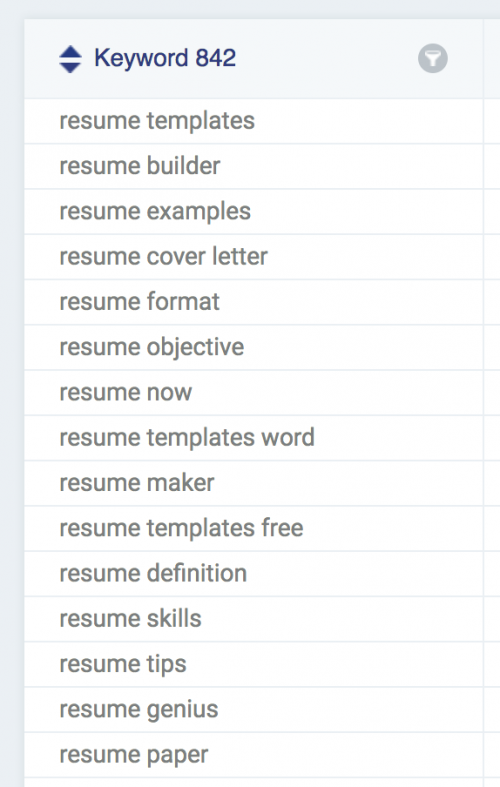 On the screenshot below there are the words upon request resumes. On the left screen the source of parsing is Google Images, on the right is the main Google Search. The Images version does not contain conversion keywords, while Google version contains brands, builder, maker. Negative keywords: meme, logo, ugly. Expansion of seo core: the colors (pink, gold) and regions (canada). As you see, there are a lot of ways to expand SEO core for your site and grow organic traffic with easy steps. To implement all strategies above, choose your membership and find the most valuable keywords.